Hatha Yoga Shala offers specialized courses based on the teachings of Shandor Remete (Sundernath), founder of the ‘Shadow School of Hatha Yoga’. Teaching began in 1998 in Vancouver, BC under the name ‘The Wandering Yogi Studio’. The name was changed to ‘Hatha Yoga Shala’ in 2010 with relocation to Montreal, QC. In Spring 2004, after years of experimenting with various yoga styles, Shandor Remete and Shadow Yoga were discovered. We present the first Shadow Yoga teachings in Canada since 2005. “The problem that beginners encounter today is the premature exposure to difficult asanas. The struggles that result excite their minds but blind them to the natural order of progression in the asanas. Failing to build a foundation, they fall short of their goal. Their impatience is born of ignorance of the simplicity of the system”. 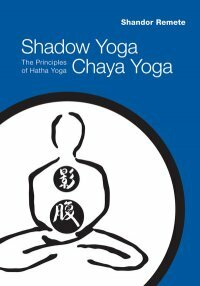 Shadow yoga presents three dynamic fixed sequences, known as preludes, based on practical fundamentals of hatha yoga and the knowledge of Marmasthana (the 108 vital points of the body). Preludes developed as the necessary preparation required to lead a practitioner into unobstructed asana work and are used to stabilize the joints, free muscles from tension and synchronize breath. 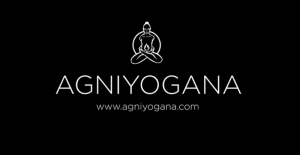 Sequences include prelude (preparation), asana-vinyasa (main component), and conclusion. Shadow Yoga’s preludes have ultimately been designed to lead the practitioner to the practice of freestyle, a practice of improvisation based on inner guidance and appropriate response to the needs of the moment. Rather than operating from a conditioned reaction of likes and dislikes, the advanced student allows themselves to be moved with fluid spontaneity and grace. Scroll down for sample videos of this unique practice. Radhasri – Rhonda Fogel has been teaching yoga since 1998 and is the founder of ‘Hatha Yoga Shala’ in Montreal. She was the director and co-owner of ‘The Wandering Yogi Studio’ in Vancouver, BC from 2000 – 2008. A dedicated student of Hatha Yoga and Ayurveda since the age of 27, she has studied with many great teachers before the age of 33 when she met Shandor Remete. Among them she found the most influential and has completed several teacher trainings with Donna Farhi, Ifat Erez and Ana Forrest. In 2002 she took mantra diksha initiation from Paramahansa Niranjanananda Saraswati in India and was given a new name. Radhasri has been studying solely under the guidance of Shandor Remete (Sundernath) and his wife Emma Balnaves of the Shadow School of Hatha Yoga since April 2004. 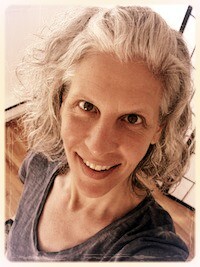 She has been authorized to teach in the Shadow Yoga style since 2005. As of 2010 she lives and teaches in Montreal, Quebec and is available for massage and personal consultations. Rhonda has her intermediate certification and has completed 4 levels of Thai massage courses with Lotus Palm in Montreal. She has also studied Tuina massage with Ethan Murchie and is the administrator of the clinic at The Montreal Gongfu Research Center since 2011. Rhonda is a registered massage therapist with AQTN (Alliance Québécoise des Thérapeutes Naturels).